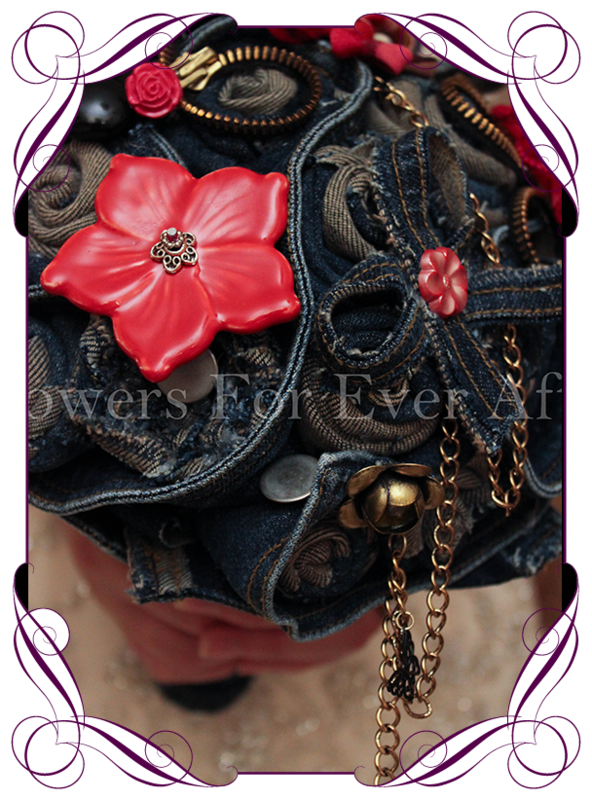 One of our most unusual designs to date in fabric materials. Bobby is made entirely of handmade vintage denim flowers with ceramic flowers and button accessories. 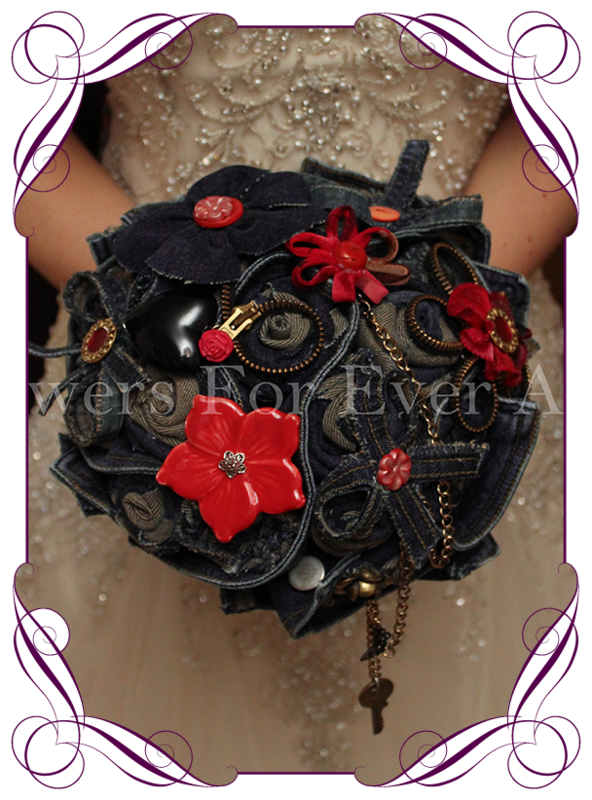 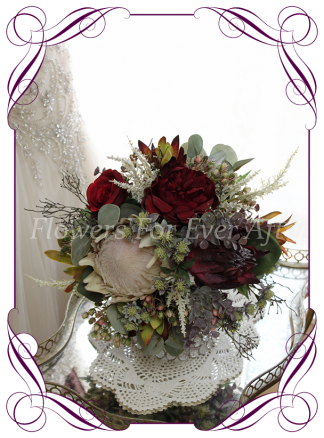 A one of a kind bouquet inspired by a Rock’n’Roller bygone era. 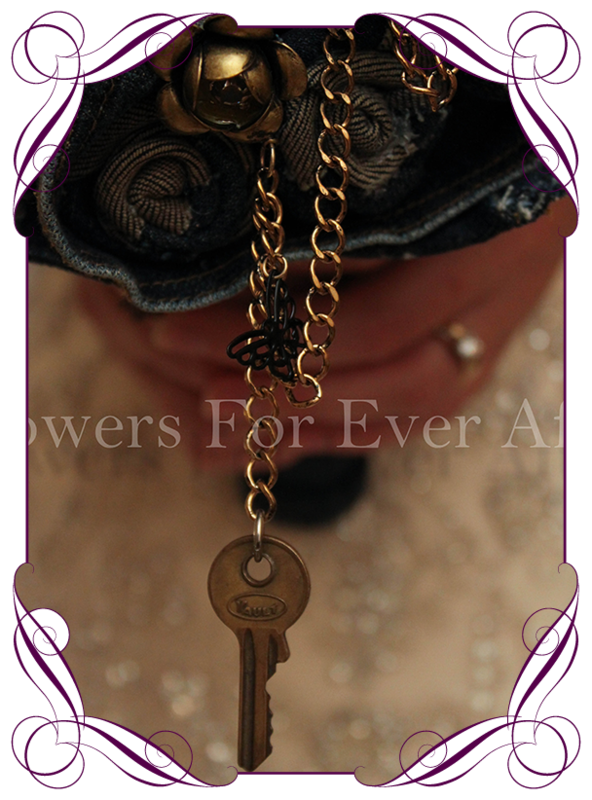 Also features embellishments which include an acrylic heart, a vintage key, red fabric flowers and buttons as well as small red rose buttons and black filigree butterflies. 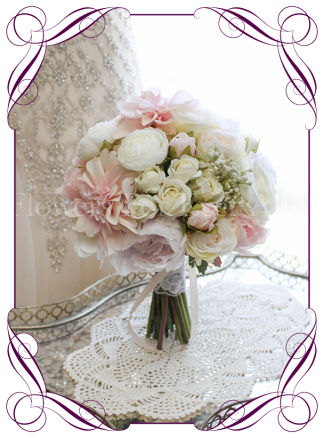 The grooms button is included in this price. ***Please note that any remakes of this design will vary from the original to suit whatever pieces are available at the time. 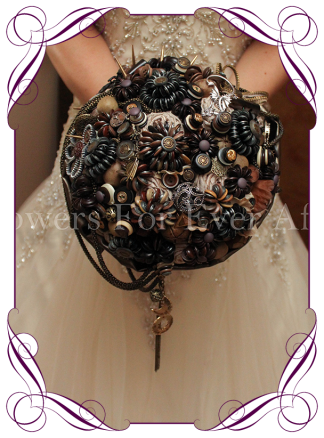 Contact Maria via the ‘Contact Us’ link or on 0439 810 982 for additional details and matching pieces.